Everything You Need for Your Holiday Feast! Every year around this time people start to ask what I am serving for the holidays. To be perfectly honest, my mother has cooked the turkey and stuffing every year since I was a child. My sisters and I handle the sides and desserts. It’s always a delicious feast for the eyes as well as the belly. 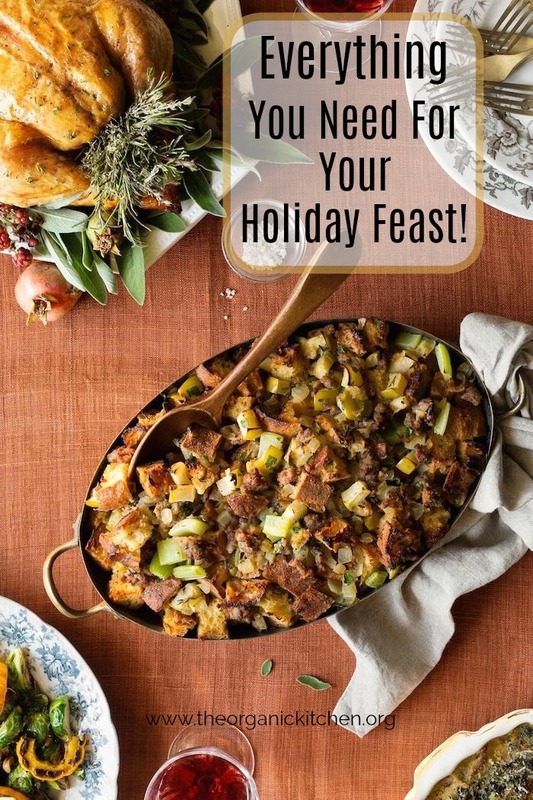 So without further ado, here is Everything You Need for Your Holiday Feast! We prefer to dry brine our turkey. It’s easier, less messy, and in our humble opinion, tastes better than a wet brine. 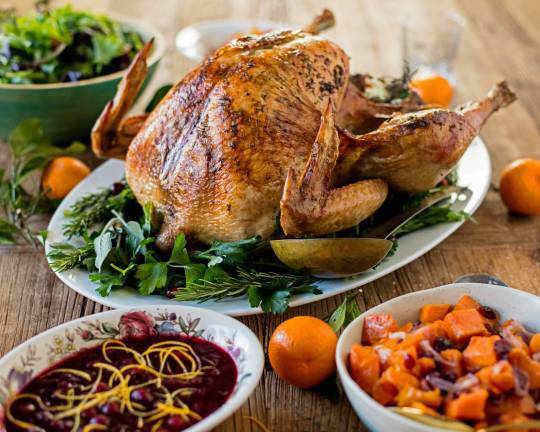 Learn how to dry brine and cook an herbed butter turkey here. Turkey is fabulous and all, but give me the stuffing! 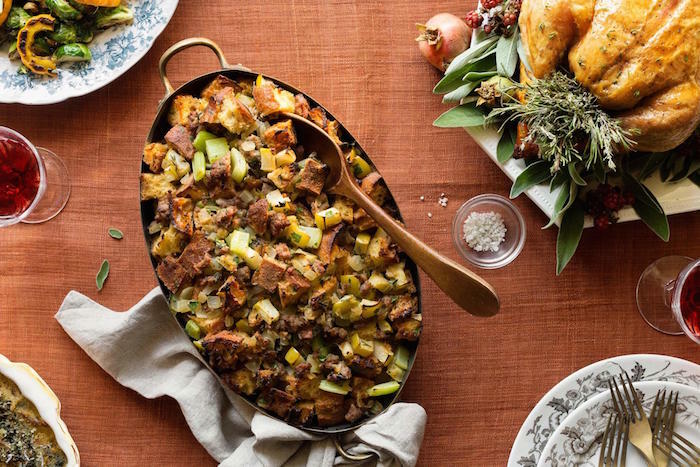 This Italian Sausage and Apple Stuffing is made with Ciabatta bread which makes for amazing taste and texture! 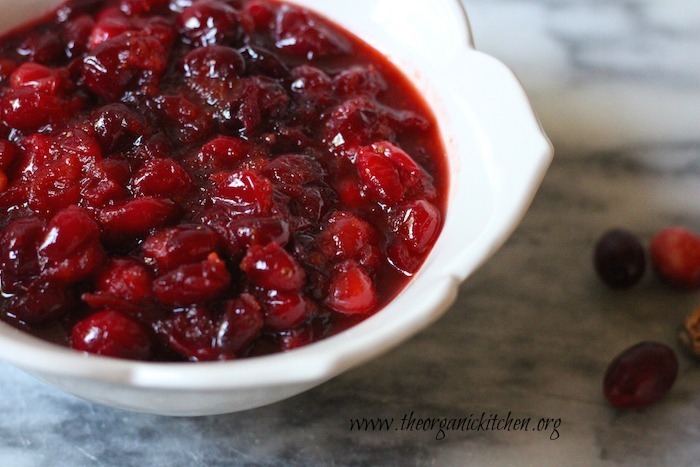 Sauce from a can just can’t compare to Homemade Cranberry Sauce made with fresh cranberries. This recipe takes five minutes, uses only three ingredients and can be made ahead! The Potatoes: A Subject of Controversy, So I am Giving You Three! Some people like them mashed, others prefer a casserole, and still others love au gratin. 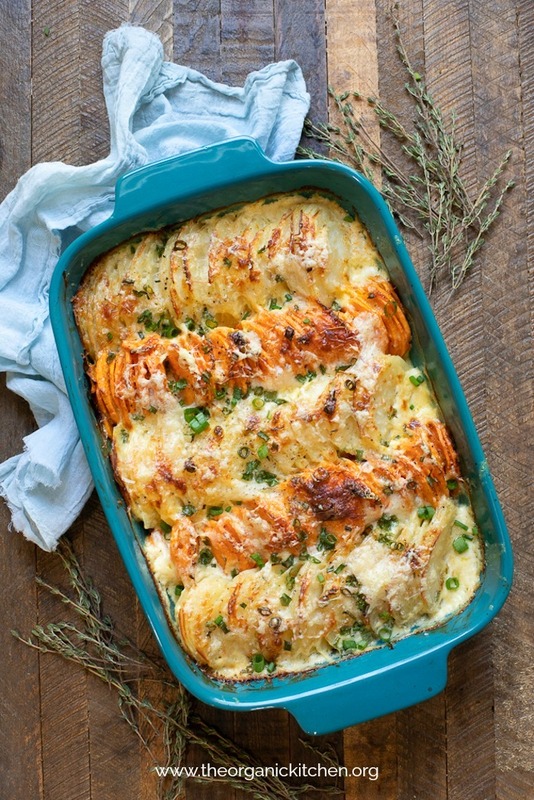 I will give you all three starting with these Easy Orange and White Gratin Potatoes! Made with both russet and sweet potatoes these make everyone happy. But if mashed is your deal, nothing beats these Decadent Smashed Potatoes! Of course Maple Sweet Potato Casserole is a family favorite too, which ever you choose, happiness will abound. 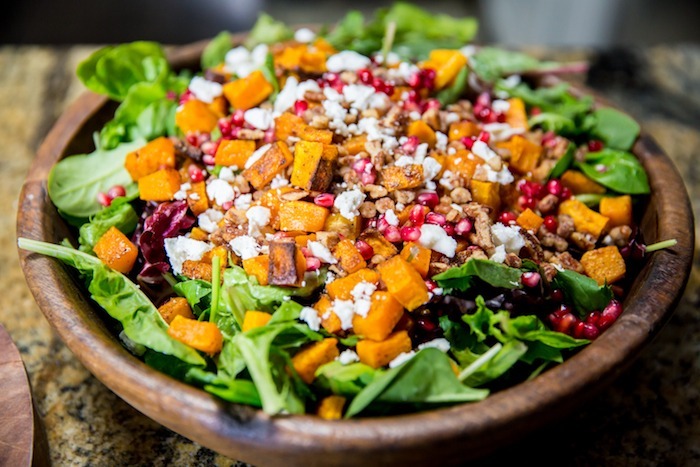 If you are bringing the salad this year, bring this Roasted Butternut Squash Salad with Pomegranate Vinaigrette. If simple is more your style, try The Organic Kitchen House Salad. The Veggie Side Dishes Y’all! 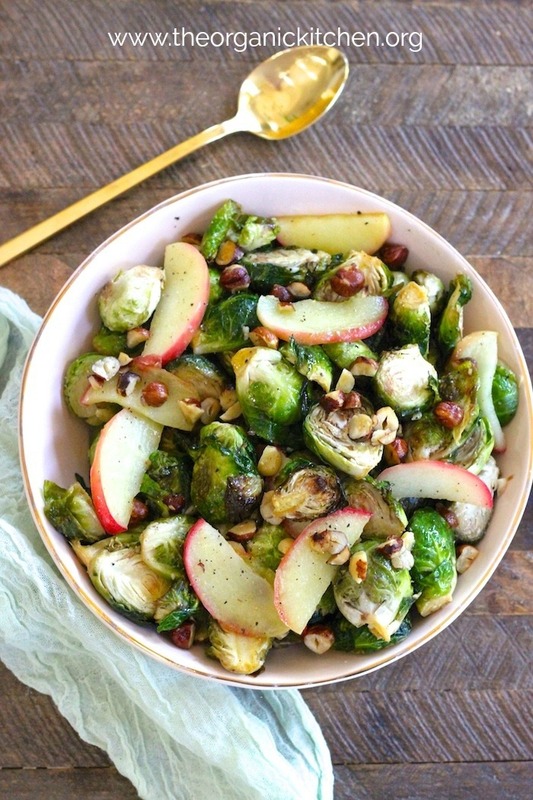 I am all about the Brussels Sprouts with Apples and Hazelnuts this year. But Roasted Carrots with Gremolata will do nicely too! Last But Not Least, Dessert! This year, let somebody else handle the pie. Be the brave one, the one that shows up with a totally original dessert! 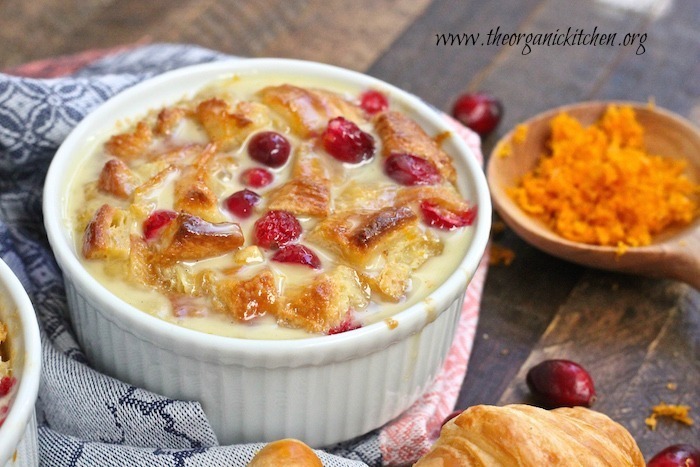 Orange Cranberry Bread Pudding with Vanilla Cream Sauce. 12 Fabulous Whole 30 Chicken Dinner Recipes!